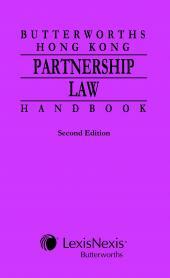 Note: Due to the expansion of the legislation and respective legal commentary, the 21st Edition of this title will be bound in two volumes. We hope that this will improve usability, while offering the most comprehensive and relevant content on this area of law. 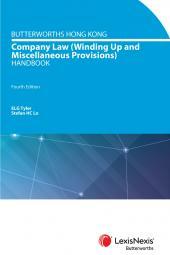 The Butterworths Hong Kong Company Law Handbook, now in its 21st Edition, includes detailed analysis and annotations on the Companies Ordinance (Cap 622). 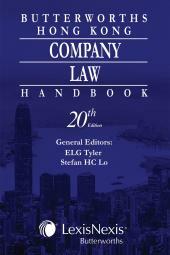 This handbook explains the full text of the Ordinance as currently in force with section-by-section annotations, encompassing significant judicial decisions and rules of court, as well as history notes, definitions of words and phrases, discussions on practical aspects and contentious issues in reference to each section and other authoritative materials including cross-jurisdictional references. 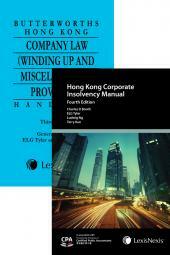 This Handbook is an essential resource for practitioners, company secretaries, academics, students and anyone engaged in or interested in the laws governing companies in Hong Kong.